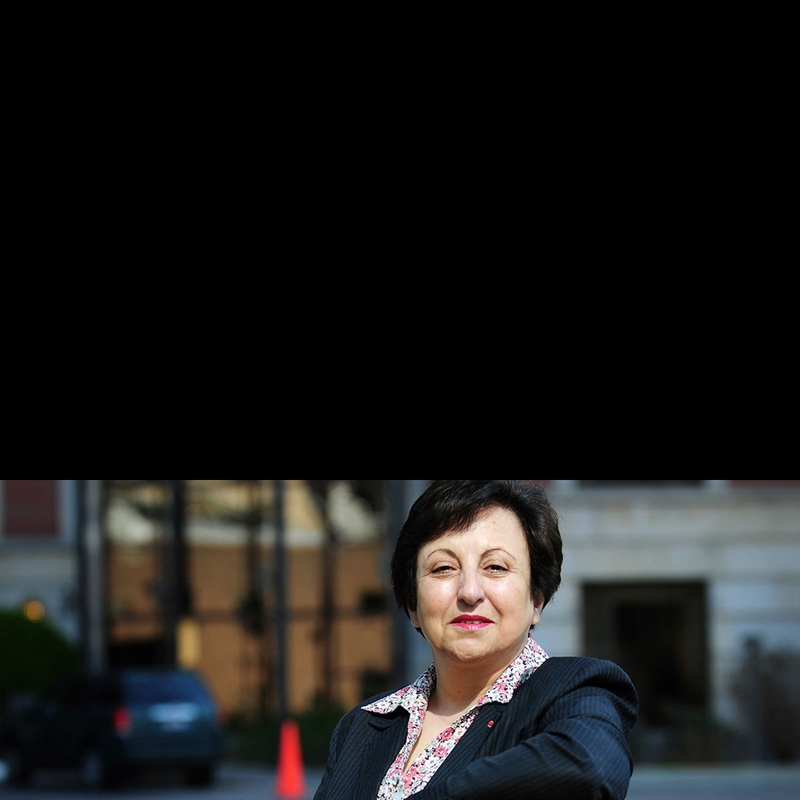 Dr. Shirin Ebadi is an Iranian lawyer, former judge and human rights activist. On 10 October 2003, Dr. Ebadi was awarded the Nobel Peace Prize for her significant and pioneering efforts for democracy and human rights, especially women's, children's and refugee rights. She was the first Iranian to ever receive the prize. In 2009, Dr. Ebadi's award was allegedly confiscated by Iranian authorities, though this was later denied by the Iranian government. If true, she would be the first person in the history of the Nobel Prize whose award has been forcibly seized by state authorities. Dr. Ebadi became Iran's first female judge when she was just 23 years old. She also became the first Iranian and first Muslim woman to be awarded the Nobel Peace Prize. Despite initially supporting the Iranian revolution like many Iranians, Dr. Ebadi soon became its scourge. Although described as "the worst nightmare of Iran's hardline clerics", her fight for human rights, particularly those for women, is not anti-religion. "I am against patriarchy, not Islam," she says. Demoted to a secretary in her own court by the regime, which considered women unsuitable to be judges, she set up her own pro-bono law practice to focus on injustices in the legal system, acting for political dissidents and on child-abuse cases. Despite being put on a death list by the regime, her brother-in-law being executed, and enduring solitary confinement, Dr. Ebadi became the country's most high-profile human rights activist, founding the Human Rights Defenders Center and helping to found the One Million Signatures Campaign. This grassroots campaign collected 1 million signatures from women in support of changing discriminatory laws. The campaign has won numerous international prizes (including the 2009 Reach All Women in War Anna Politkovskaya Award), but its members have also been harassed and even jailed. Dr. Ebadi lived in Tehran, but she has been in exile since June 2009 due to increased persecution of Iranian citizens who are critical of the current regime. In 2004, she was listed by Forbes Magazine as one of the "100 most powerful women in the world". She is also included in a published list of the "100 most influential women of all time."